Despite new fields such as data science gaining popularity, a Master of Business Administration or MBA remains the most popular postgraduate degree on the market. Thousands of professionals pursue their MBAs for different reasons. There are a lot of reasons to earn an MBA indeed. The degree is not only popular, but also very beneficial to your career and professional life. 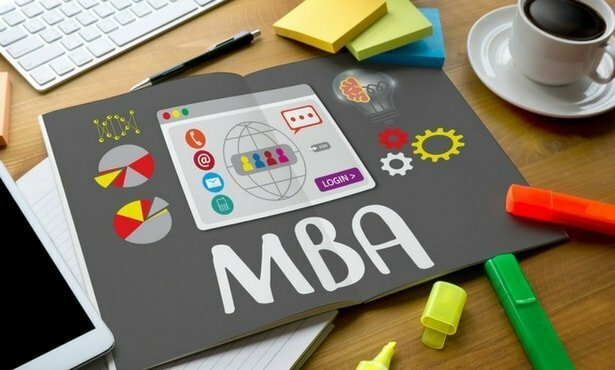 If you are not sure about earning an MBA, these five reasons to study for one will certainly convince you. Online MBAs aren’t just recognized by companies around the world, but they are also run by some of the best universities in the country. University of Massachusetts Amherst MBA online program is a good example. The program is highly regarded as the best and is designed to equip students with the skills and knowledge they need to succeed. Since the MBA degree program from UMass is available online, you can earn the degree at your own pace and in your own time. It also means you can now pursue an MBA while working a fulltime job. An MBA is always a good thing for your career. Notify HR and your superiors about your pursuit for an MBA degree as soon as you start the course, and you can experience the benefits of having the master’s degree almost immediately. Those with an MBA – or professionals who are pursuing theirs – are more likely to get promoted to mid- and top-level management positions. You too can push your career forward by working towards getting an MBA. There is also the fact that companies are expanding rapidly due to market growth. There are new emerging markets around the world just waiting to be explored. The company’s expansion leads to more strategic positions being opened. With an MBA, you can be the ideal candidate for those positions. The master’s degree can even take you to new regions like Asia. You get to win your dream job while exploring an entirely new country. Don’t forget to get your sales-face on when pursuing an MBA. Even when enrolling in an online course, there are fellow professionals (also pursuing an MBA degree) to connect with. The entire course is a great networking opportunity you don’t want to miss. You can also connect with industry leaders who assume the role of lecturers in some of the best MBA programs, including the online course from University of Massachusetts that we talked about earlier. You are learning from seasoned professionals nonetheless. There is one last interesting fact to note about earning an MBA: you can expect better pay and rewards with the degree under your belt. Many MBAs earn more even when they remain in the same position as before they got the degree. From these five reasons alone, it is easy to see why an MBA degree is still very popular. Even better, the demand for MBAs continues to grow as companies expand further. There is no better time to start working towards getting an MBA than today.